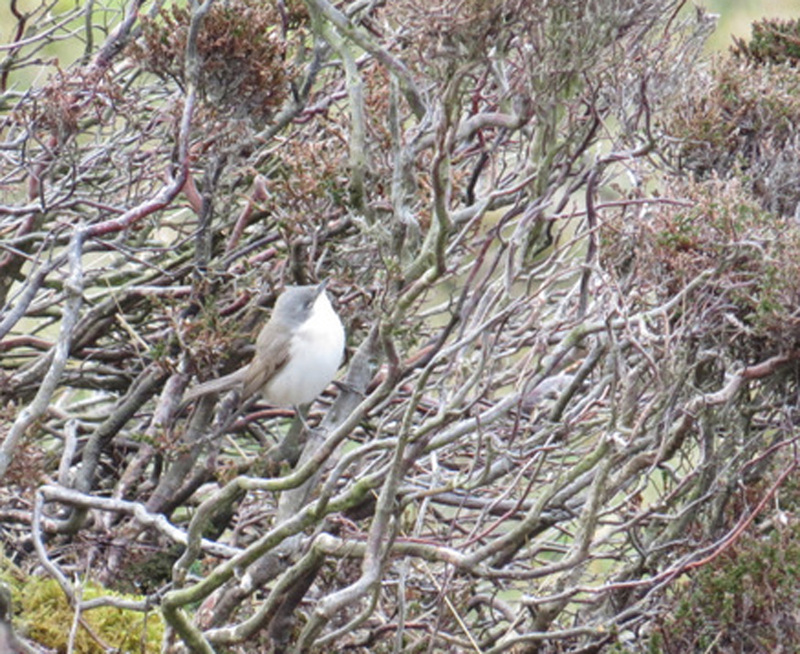 ISLAY: A Lesser Whitethroat was seen and photographed at Upper Killeyan, The Oa yesterday by Dave Woods. TIREE: A male Corncrake at Balephuil – the first here this year – also 4 Chiffchaff and 2 Goldcrest there, 340 Pale-bellied Brents at Gott Bay including 11 colour-ringed birds, also 2 Little Tern there, 72 Pale-bellied Brents at Traigh Bhagh including 4 colour-ringed birds, also 2w Glaucous Gull, 2 Little Tern, 2 White Wagtail and 9 Whimbrel. 25 Black-tailed Godwit at Loch an Eilein plus 2 White Wagtails. 1m Greenland Wheatear and 6,500 Golden Plover at The Reef. 2w Glaucous Gull at Heanish (John Bowler). COWAL: We probably had up to 20 Siskins here at Innellan today along with the two Redpolls (Alan Forsyth). 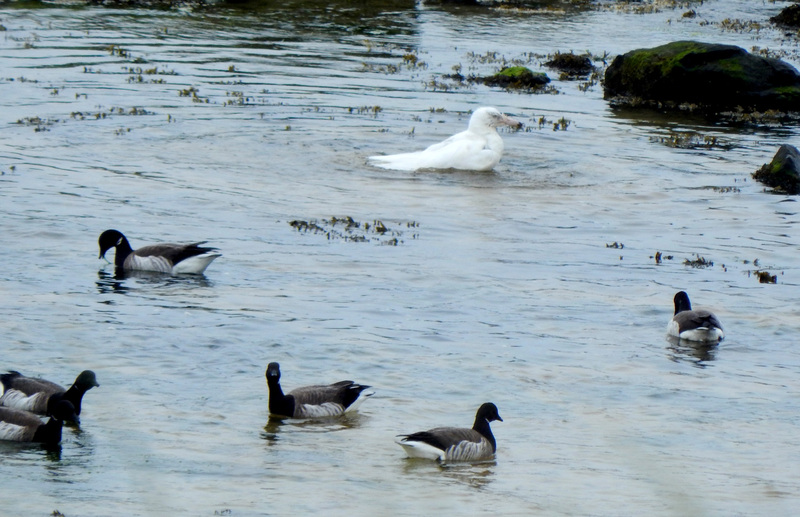 P-b Brents + Glaucous Gull – Traigh Bhagh, Tiree 24th Apr (John Bowler). 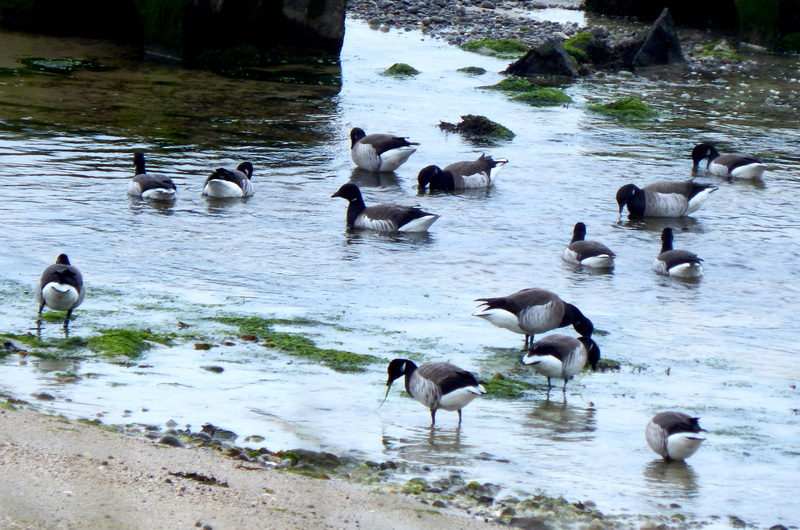 P-b Brents – Traigh Bhagh, Tiree 24th Apr (John Bowler). 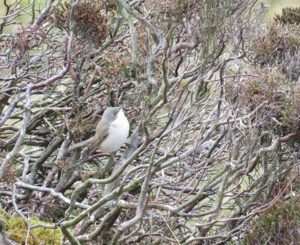 Lesser Whitethroat – Upper Killeyan, Islay 23 Apr (Dave Wood).